What's Popeye gonna do without his spinach? What about Batman without Robin? 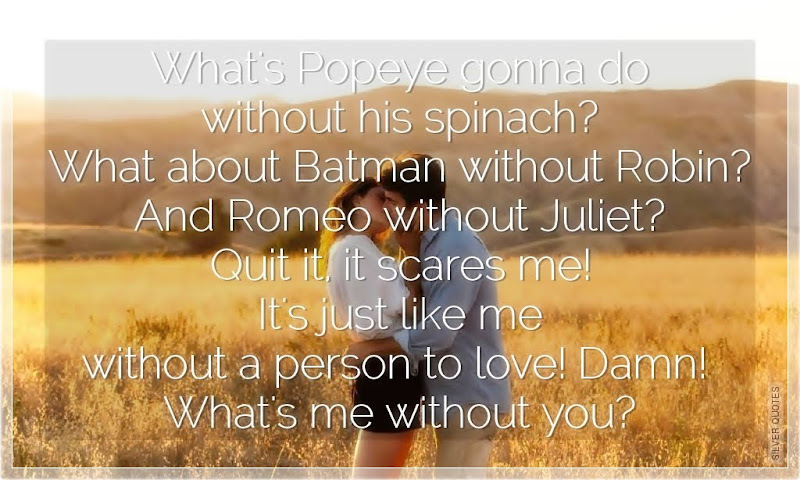 And Romeo without Juliet? Quit it, it scares me! It's just like me without a person to love! Damn! What's me without you?